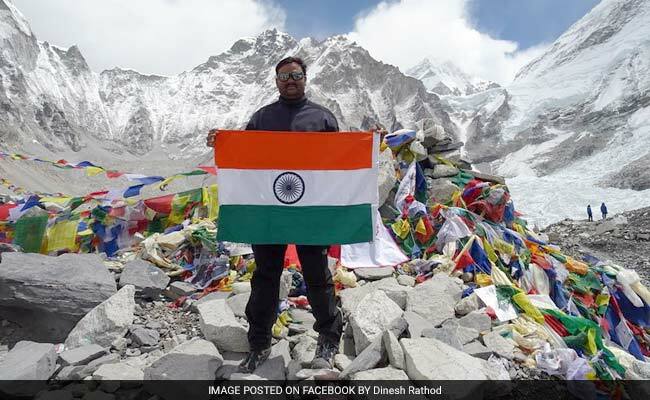 Suspended Pune police constable couple Dinesh Rathod and Tarkeshwari Rathod, who lied about climbing the Mount Everest and circulated morphed photos of their 'mountaineering feat' in May last year, have been dismissed from the force, a senior official said on Monday. The couple was suspended in November last year after a probe panel formed by the police called out their lie. "The couple faked about the Everest ascent, morphed the photographs, shared misleading information and while doing this, brought disrepute to the Maharashtra Police department and did not report to duty," said Sahebrao Patil, Additional Commissioner of Police (Administration). "Based on the inquiry, we dismissed the couple from the department and an order to this effect was issued on Saturday," Mr Patil said. Three months ago, the couple was asked to explain why they should not be dismissed from the force. The couple was posted at the police headquarters in Pune's Shivajinagar. On June 5 last year, they went public with their claim that they were the first Indian couple to reach the Mount Everest summit. However, a group of local mountaineers later said the couple was never at the summit and they faked their expedition by morphing photographs to show themselves standing on the peak of the world's highest mountain. In August last year, the Nepal government reportedly banned the couple from entering the country for 10 years. Pune Police had also written to the Nepali government to probe the matter. Surendra Shelke, secretary of a Pune-based mountaineering association, said the couple's version of how exactly they climbed the mountain had many holes.